LIRA – The police in Lira are investigating an alleged assault of Bismack Olang, a radio journalist with Unity Fm, by Lira Mayor Mike Ogwang Olwa, while covering a story on “cancellation of tender for bodaboda revenue collection”. 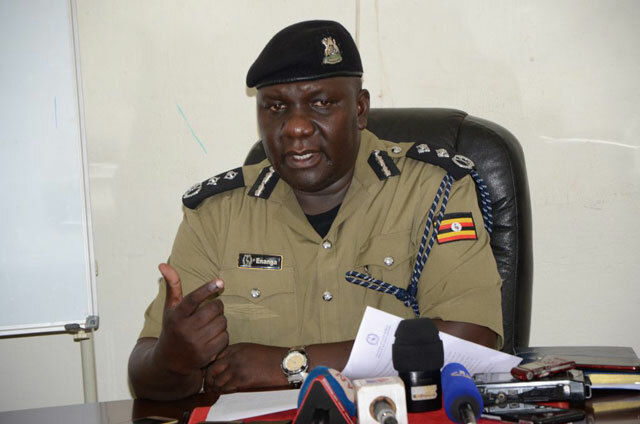 Addressing Journalists on Monday at CPS in Kampala, the newly appointed Police spokesperson, CP Fred Enanga said that police boss IGP Martins Okoth Ochola has offered to guard the space for journalists in his directive to all units. “we, however, note that the radio journalist was working alone, and we would like to caution all journalists about the dangers, risks and consequences of mobile journalism. “We are all aware “No news item is worth a journalist life”. He also cautioned media practitioners to always carry out risks assessments before interviewing people or capturing a video. On homicide cases, Enanga said between 14– 20 January, 2019, the Police note that domestic related homicides are the biggest threat, and yet such murders come with warning signs of violence, threats and coercion against the victims.